Thomsen has most recently been seen on Cinemax series Banshee. That series is ending its run after four season. Thomsen will first appear on Episode 21 this season. The Blacklist has big plans for its remaining episodes this season. A backdoor pilot for a spin-off is being aired on the episode set for May 12. Are you a fan of The Blacklist? Are you excited to see Ulrich Thomsen as a new villain on the series? Tell us what you think. 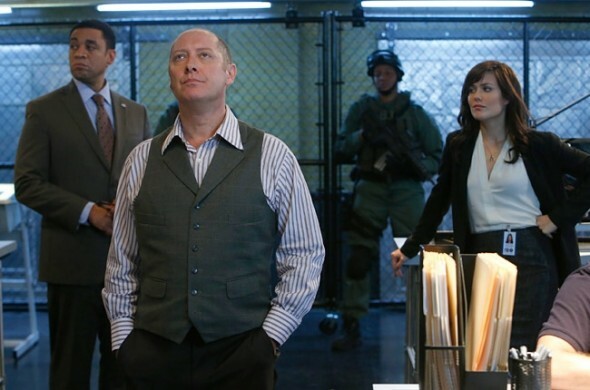 More about: The Blacklist, The Blacklist: canceled or renewed? Ulrich Thomsen is a great choice. He’s superb on Banshee. He is a riveting actor. One of only 2 programs I watch each week. Miss Liz, but I would love to see the series continue for many new season s.
I love The Blacklist. James Spader is awesome in it. Out of all shows on TV that and Bates motel are my favs. Hope Elizabeth is not dead, wish her husband would go away. Kai Proctor I m sure will be great for show. Kai Proctor is one of the best bad guys in recent memory. He absolutely kills it, pun intended, in Banshee. Can’t wait to see him go toe to toe with Red! !